I found this plant while perusing the benches at the nearby nursery. It wasn't blooming but I was intrigued with the spiky, silvery foliage and at $3.50 for a four inch, I figured why not? I've had it in a clay pot all summer and it's on its second bloom cycle now. The tag says it's a Zone 6 so hopefully it will do okay in my rainy Zone 8 if I keep it well drained. 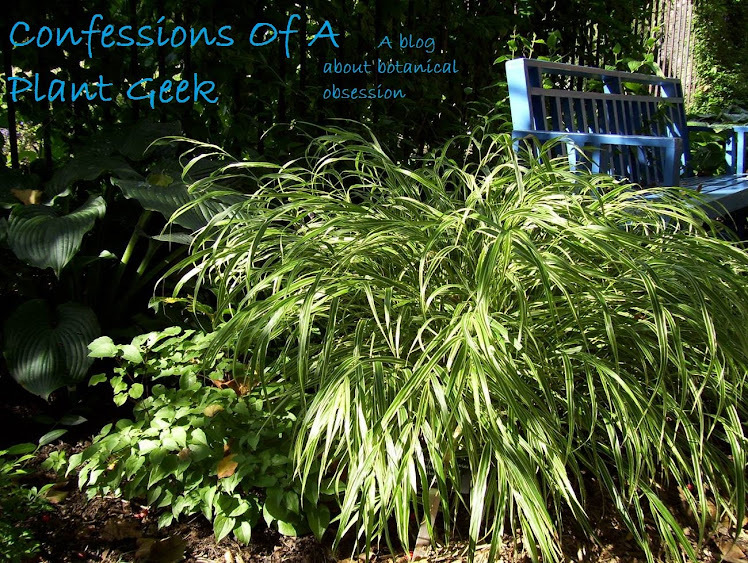 Nice blog from one plant geek to another! A neat thistle-looking plant from southern Africa, Berkheya is tolerant of moist soils that are well drained. So, rainy zone 8 should be ok. Most people are afraid of the foliage, but like the flowers. I like both, and think this could make a great architectural contrast in the garden.